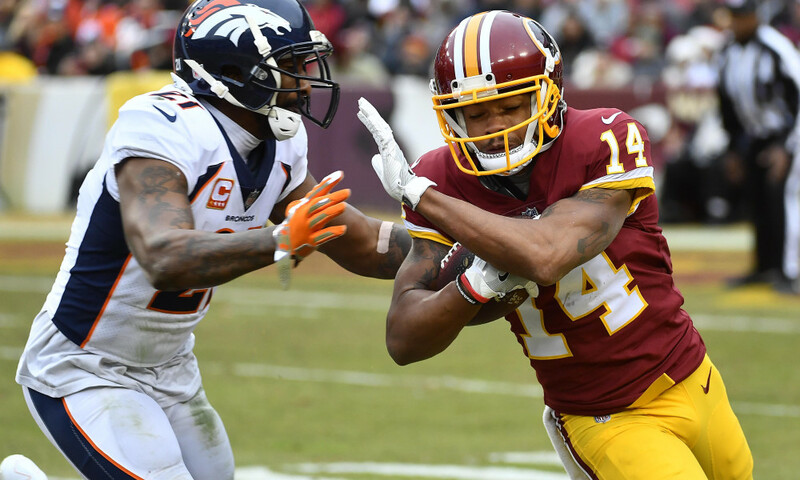 On Tuesday, former Redskins wide receiver Ryan Grant agreed to terms with the Baltimore Ravens. The contract was a $29 million deal, with $14.5 million of that total fully guaranteed. However, today, the Baltimore Ravens have nullified the contract, as Ryan Grant failed the physical that the team gave him. This means that the entire contract is voided, and Grant will become a free agent again. He could re-sign with the Ravens on a lesser deal, but Baltimore may not be interested in what they found in the physical. According to NFL Insider Adam Schefter, the Ravens failed Grant based on an ankle injury from the final week of the Redskins season. This news comes as the Ravens started to target former Raiders wide receiver Michael Crabtree, who was cut by Oakland today. Oakland lured in former Packers receiver Jordy Nelson and had to let Crabtree go in order to make room for the signing. Crabtree, 30, received for over 1,000 yards twice in his career, most recently in 2016. In 2017, he totaled for 618 yards and eight touchdowns through the air. He is scheduled to meet with the Ravens on Friday, where Baltimore will obviously try to lock him down on a deal. Crabtree is not the only recently cut free agent the Ravens are pursuing. Former Lions tight end Eric Ebron is also being targeted by Ozzie Newsome and the Ravens front office. Ebron, 24, is a pass-catching tight end, who would help out the Ravens tremendously. Wide receiver Mike Wallace, who spent the past two seasons with the Ravens is also on the market and could be re-signed by Baltimore. The move would make a lot of sense, as the new receiving corps has no experience with quarterback Joe Flacco, and Mike Wallace would be a good safety valve for the veteran quarterback. Another receiver the Ravens may target is the former New Orleans Saint Brandon Coleman. Coleman was a solid receiver for the Saints who simply did not get a lot of targets from quarterback Drew Brees. He should be a relatively cheap option for Baltimore.